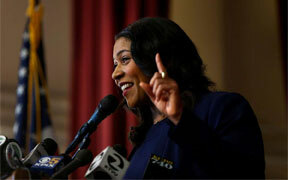 Mayor London N. Breed today announced the release of San Francisco's Five-Year Financial Plan for Fiscal Years (FYs) 2019-20 through 2023-24. The Financial Plan projects that while the City will experience continued strong, but slowing, growth in tax revenues over the next five years, the cost of City services will outpace growth in tax revenues, resulting in ongoing structural deficits. If the City does not take corrective action, the projected gap between revenues and expenditures will increase from a deficit of $107 million in FY 2019-20 to approximately $644 million by FY 2023-24. The City’s budget deficit for the upcoming two fiscal years, FY 2019-20 and FY 2020-21, is projected to be approximately $271 million.